You might think that retirement planning should be all about the fun and rewarding stuff you are saving up for: remodeling your home, traveling, spoiling your grandkids, and enjoying life. But only thinking about the good parts of your retirement leaves a major piece of your future unfunded: health care. The fact of the matter is that health care could be your largest retirement expense — by a lot. Each year, Fidelity calculates the average cost of medical expenses for a 65-year-old couple retiring during that calendar year. In 2018, Fidelity has calculated that the average couple will need $280,000 in today's dollars to cover medical expenses in retirement — and that figure does not include long-term care. Let's start with the bad news: It's likely that your health will deteriorate in retirement. In some ways, it's harder to think about declining health than it is to think about mortality, since we know the latter is inevitable. The statistics on preparing for death vs. preparing for poor health in retirement bear this out, since 42 percent of Americans have a will or estate plan in place, according to a Care.com survey, while the Economic Policy Institute found that only 30 percent of Americans have more than $1,000 saved for retirement. But declining health as you age is a fact of life. According to the CDC, three out of every four Americans over the age of 65 have multiple chronic conditions. These are defined as illnesses or medical conditions that last a year or longer and require ongoing medical attention or limit daily activities. Medicare Part A, which is also known as hospital insurance, charges no monthly premium for the majority of enrollees. However, Part A coverage is quite sparse. It is called hospital insurance for a reason — because it only (partially) covers inpatient hospital care, inpatient care in a skilled nursing facility, home health care, and hospice care. In short, Medicare Part A will only pay for a serious medical problem that either lands you in the hospital or is expected to be fatal. It does not cover doctor's visits or prescriptions. This is the part of Medicare that works like regular health insurance. The majority of beneficiaries will pay a monthly premium (which can be deducted from their monthly Social Security check) for this program. As of 2018, the monthly premium for most Medicare Part B beneficiaries is $134, although higher income beneficiaries may have to pay more. On Part B, you will pay all costs for covered services up to the yearly $183 deductible. Once that has been met, you will generally pay 20 percent of the Medicare-approved amount for most doctor services, outpatient therapy, and durable medical equipment. However, Medicare Part B does not cover long-term care (nonmedical help that the elderly may need for daily living), prescription drugs, routine dental or eye care, dentures, hearing aids or exams for fitting them, or routine foot care. While none of this is good news, it's still no reason to go on a bank-robbing spree or start playing the lottery. There are a number of savvy strategies you can adopt right now to help make sure health care does not overwhelm your retirement budget. Adequate sleep, exercise, and healthy eating may not seem like part of your financial plan, but they can potentially have a greater return than any traditional investment. Taking better care of yourself can help to improve your health and potentially reduce the need for medical care as you age. One of the biggest coverage gaps in Medicare is long-term care, which is help that a senior might need with daily living activities such as bathing, dressing, eating, and mobility. Private health insurance also does not cover this kind of care, which means any retiree who needs it will be on the hook to pay for it herself. And according to the Department of Health and Human Services, the average 65-year-old today has a 70 percent chance of needing long-term care at some point in the future. Long-term care insurance can potentially fill the coverage gap. This kind of insurance will help pay for your nonmedical long-term care after you have reached the end of the "elimination period," which can last anywhere from 20 days to 120 days. Until that point, you will pay for your care out of pocket. If you are in good health as you approach retirement, you may want to sign up for a health savings account (HSA). This account, which works a little like an IRA, allows families to contribute up to $6,900 (as of 2018) and individuals to contribute up to $3,450 in pretax income. If you are over the age of 55, you can contribute an additional $1,000 above these limits. The money grows tax-deferred, and as long as you use any withdrawals for qualified medical expenses, they are also untaxed. The downside of HSAs is that you must have a high-deductible health insurance policy to qualify for one. To be considered a high-deductible policy, your insurance must have a deductible of least $1,350 per individual or $2,700 for a family, and an out-of-pocket maximum that is at most $6,650 per individual plan or $13,300 per family plan. This makes HSA plans a bit of a difficult choice. If you enjoy good health as you approach retirement, they can be an excellent option, since you can also make penalty-free nonmedical withdrawals after age 65 (although you will pay taxes). That means your HSA can be one part of your retirement nest egg that can be used for something other than medical care if you continue to have good health. Roth IRAs are tax-advantaged investment vehicles that allow you to put aside already taxed money into the account, where it grows tax-deferred. As long as you keep the Roth IRA for at least five years and are over age 59½, you can withdraw funds from the account tax-free. 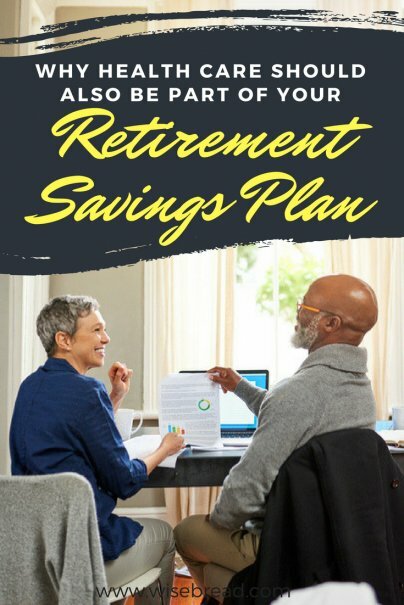 As of 2018, you can set aside $5,500 per year, and savers over the age of 50 can contribute an additional $1,000. This makes the Roth IRA a good place to earmark funds for health care in retirement. Since there is no penalty or tax on withdrawn funds, you do not have to worry about how a big withdrawal for medical care could affect your taxes in retirement.